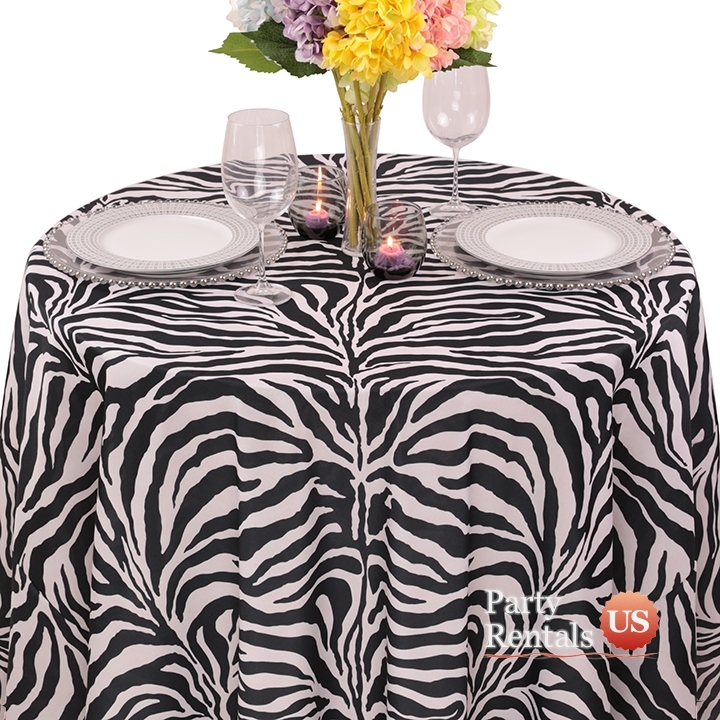 Get a little wild and set your table over an animal print tablecloth. Choose from flat leopard or zebra patterns. Your guests will think that they have entered the jungle and started an exciting safari. Pair them with black napkins and seat covers or a pulled-together appearance.